Speed up your checkout and deliver parcels to the right place every time. 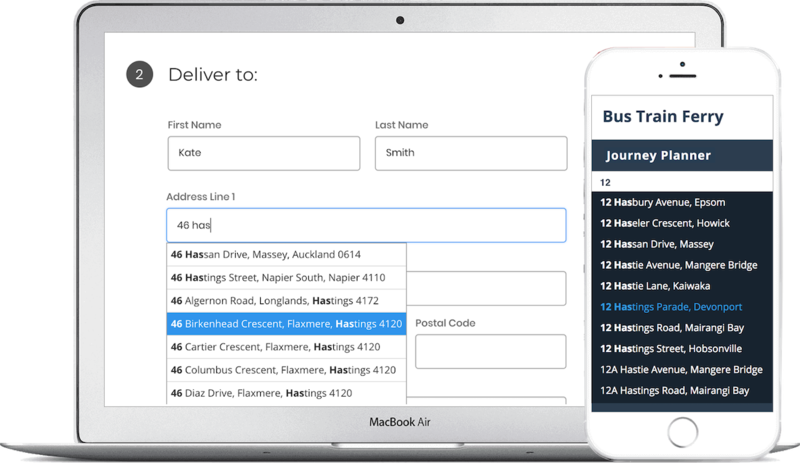 Upload a spreadsheet of New Zealand addresses (or use our API) to match them with verified addresses. Use our range of APIs to autocomplete addresses, get address metadata (e.g. latitude/longitude values) and more. Get access to address lookups for free. Check out our paid plans for more address lookups and API access.